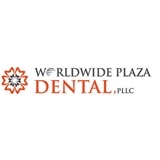 Worldwide Plaza Dental Associates (New York) - Book Appointment Online! A Reputation You Can Trust We are in network with Delta Dental, Cigna and Oxford dental insurances but we take any PPO plans and we accept assignment of benefits, so you are just responsible for your co-payment, whether we are in your network or not. At Worldwide Plaza Dental, we are at the forefront of dental research and use the latest technology to help our patients maintain their health and achieve their desired smiles. Our featured services include: Tooth colored fillings, non-metal crowns, Invisalign clear braces, implants, porcelain laminate veneers, as well as pediatric dentistry. For over 25 years, we have provided quality dental care in a patient-first environment. From gentle cleanings to smile makeovers, we are here for you. For more information or to schedule an appointment, please contact us today.